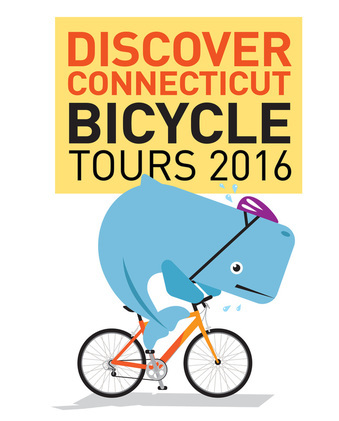 The 2016 Discover CT Bike Tours are over. A huge thank you to everyone who participated and assisted in making them a huge success! AND a BIG Thank You to all our great sponsors! Brought back by popular demand, here's your chance to enjoy this encore presentation! This ride will again showcase the cultural, historic and unique landmarks of the "Hardware City." It begins and ends in lovely Walnut Hill Park and includes a journey through Little Poland, admission to the New Britain Museum of American Art and a spectacular catered brunch (including the popular baked potato bar) with cash bar. SELF-GUIDED WALK TRAIL through Walnut Hill Park - learn about New Britain's rich and interesting history provided by informational signs along the trail. Bring the family! Registration for the Tour of New Britain is closed. Riders can choose from 10, 25 and 50 miles routes with ride starts at 8:00 am, 9:00 am and 10:00 am respectively. Rest stops will include an opportunity to visit the Historical Society of Glastonbury museum on Hubbard Green as well as the South Glastonbury ferry slip. Bicycle routes are tailored for the novice or recreational rider as well as the avid cyclist. THE MEADOW BROTHERS- Connecticut home-grown musical duo playing countrified Americana and folk music. CYCLING WITHOUT AGE program from Bike West Hartford will provide free rickshaw riwatctde demonstrations. The rickshaw enables people of all ages to experience the joy of a bicycle ride. Registration for the Glastonbury ride is now closed. Ride Start (for all routes): 8:30 a.m.
Brunch at the Museum: 10:30 a.m. - 2:00 p.m. Here is a link to an interactive map of the different Glastonbury Routes. Click on either 10, 25, or 50 on the top left to see the different routes. To view the map on your smartphone, click here. Use the "show my location" icon as you ride to help you find your spot. Thanks to Jack Dougherty for creating these! Additionally, here are the cue sheets for the 10 mile, 25 mile and ﻿50﻿ mile routes. Be sure to print it out before the tour on Sunday. Ride Safe!! Have Fun!! ﻿Bike Walk Connecticut's Discover Connecticut Bicycle Tours are held in various cities and towns in Connecticut and showcase the best of our state, including beautiful parks, diverse neighborhoods, local businesses and cultural, architectural and scenic highlights. Our inaugural ride, in partnership with Bike West Hartford, was held on Saturday, June 6, 2015 in conjunction with the Celebrate West Hartford festival. 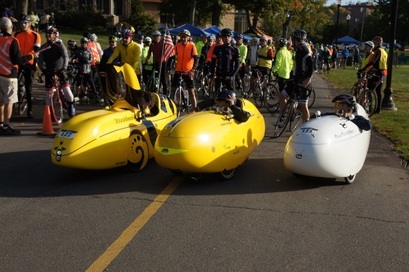 Another ride showcasing the City of New Britain was held on Sunday, September 27, 2015. Promoting bike commuting and the national Bike to Work campaign. Click the photo to view more photos.